President Trump defended Saudi Arabia this week against charges that Crown Prince Mohammed bin Salman ordered the murder of Washington Post columnist Jamal Khashoggi, saying he’ll await results of the Saudis’ own investigation. After speaking with Prince Mohammed and King Salman, Trump said that both men made “strong denials” of any involvement in Khashoggi’s assassination, and he suggested that “rogue killers” may have been involved. 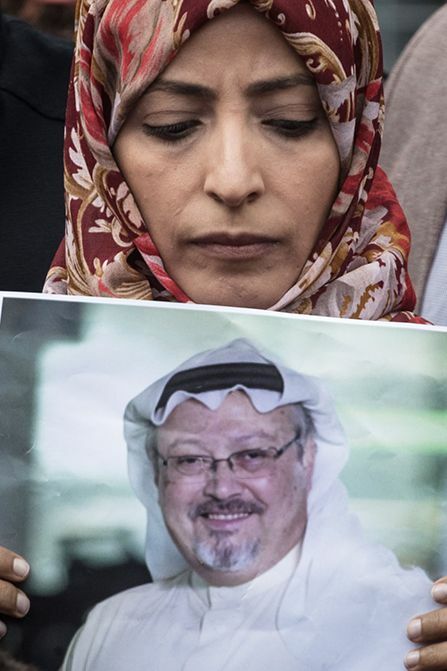 Turkish authorities say they have audiotapes proving that Khashoggi—a Saudi native and legal U.S. resident—was tortured, killed, and dismembered minutes after he entered the Saudi Arabian consulate in Istanbul two weeks ago. A team of 15 Saudi agents was allegedly waiting for him there, according to Turkish authorities. The Saudi assassins allegedly cut off Khashoggi’s fingers while he was alive and then beheaded him, with a forensics doctor dissecting the body with a bone saw. “Why is Trump so willing to let the Saudis slide?” asked Matthew Yglesias in Vox.com. He now denies having any financial interests in Saudi Arabia, but the president has repeatedly boasted about his business dealings with the kingdom. “They buy apartments from me. They spend $40 million, $50 million. Am I supposed to dislike them?” he said in 2015. The Saudis have also poured money into his hotels. When the crown prince visited New York City in March, his vast entourage helped Trump International Hotel grow its revenue 13 percent after two years of declines. Sadly, Trump’s finances are still a mystery because a pliant Republican Congress lets him get away with it.